This is event is open to all. Places are limited, please email Oecumene-project@open.ac.uk if you would like to attend. Speakers: Dr Aya Ikegame (The Open University), Dr Jacob Copeman (University of Edinburgh), Professor Anthony Good (University of Edinburgh). Chair: Professor Engin Isin (The Open University). India’s Princely States covered nearly 40 per cent of the Indian subcontinent at the time of Indian independence, and they collapsed after the departure of the British. 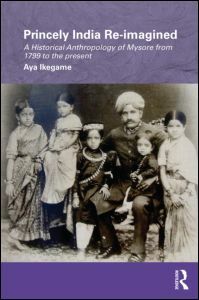 This book provides a chronological analysis of the Princely State in colonial times and its post-colonial legacies. Focusing on one of the largest and most important of these states, the Princely State of Mysore, it offers a novel interpretation and thorough investigation of the relationship of king and subject in South Asia. The book argues that the denial of political and economic power to the king, especially after 1831 when direct British control was imposed over the state administration in Mysore, was paralleled by a counter-balancing multiplication of kingly ritual, rites, and social duties. The book looks at how, at the very time when kingly authority was lacking income and powers of patronage, its local sources of power and social roots were being reinforced and rebuilt in a variety of ways. Using a combination of historical and anthropological methodologies, and based upon substantial archival and field research, the book argues that the idea of kingship lived on in South India and continues to play a vital and important role in contemporary South Indian social and political life. This book provides a set of fresh and compelling interdisciplinary approaches to the enduring phenomenon of the guru in South Asia. Moving across different gurus and kinds of gurus, and between past and present, the chapters call attention to the extraordinary scope and richness of the social lives and roles of South Asian gurus. Prevailing scholarship has rightly considered the guru to be a source of religious and philosophical knowledge and mystical bodily practices. This book goes further and considers the social engagements and entanglements of these spiritual leaders, not just on their own (narrowly denominational) terms, but in terms of their diverse, complex, rapidly evolving engagements with ‘society’ broadly conceived. 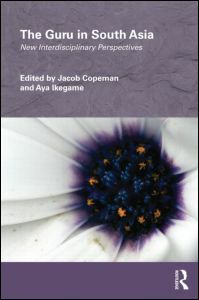 The book explores and illuminates the significance of female gurus, gurus from the perspective of Islam, imbrications of guru-ship and slavery in pre-modern India, connections between gurus and power, governance and economic liberalization in modern and contemporary India, vexed questions of sexuality and guru-ship, gurus’ charitable endeavours, the cosmopolitanism of gurus in contexts of spiritual tourism, and the mediation of gurus via technologies of electronic communication. Bringing together internationally renowned scholars from religious studies, political science, history, sociology and anthropology, The Guru in South Asia provides exciting and original new insights into South Asian guru-ship.